It was back in mid February when I was beaming the Lusekofte warp that I got a message from Jeanne, a weaver and fellow "Warped Weaver" group member from Ravelry. She wanted to know if I would weave a shawl for her? She had no less than three weddings to attend, starting in May. Initially it was about 60/2 silk in a soft lavender colour..... but I thought it was too pale for the strong colours in her dress that she had purchased. 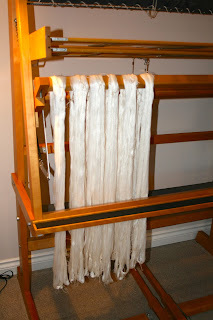 I also have only woven with 60/2 silk once before and it had not gone well. The warp and weft threads 'fused' with each other and unweaving was a nightmare. I suggested something more neutral that could be worn with any dress she chooses for the weddings and not tied to any one outfit. 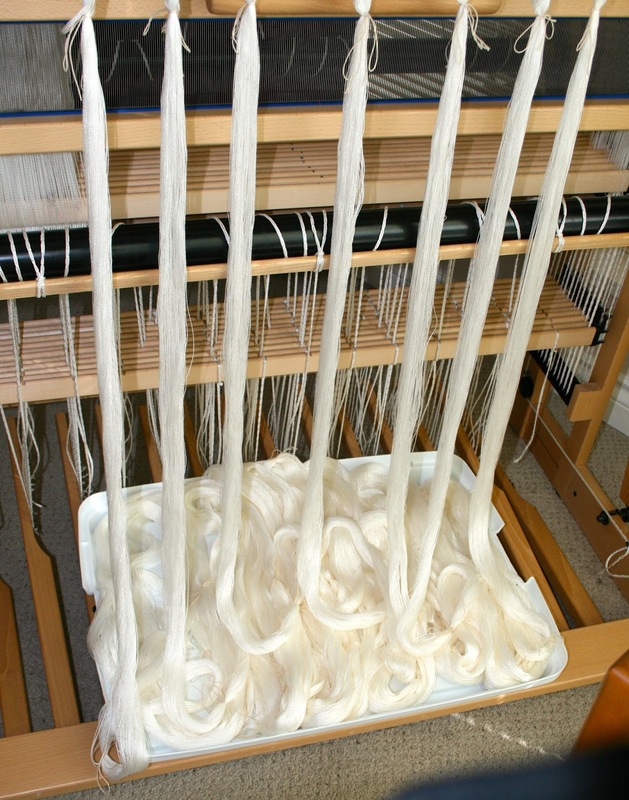 So we settled on 10/2 undyed tencel as warp (sett of 28 epi) and I just happened to have 200 grams of this yummy 30/2 silk. Its a lovely creamy white which is rare nowadays as most coming from India is quite yellow. It had been a very generous gift from a friend some years ago. Where she got it from, I have no idea! So, while I wound the 702 ends of tencel for the warp, I also wound the silk skeins into cakes. Then the thought crossed my mind: "would it be enough?" 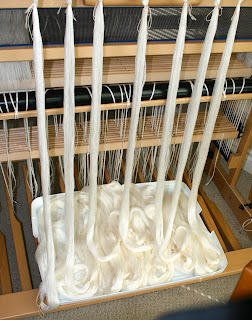 The warp winding was endlessly going on while I was weaving the lusekofte shawls. I could have sworn I had two pounds last time I looked. Each bundle represents 100 ends, all 7.5 yards long, with one last bout still being wound on the mill. 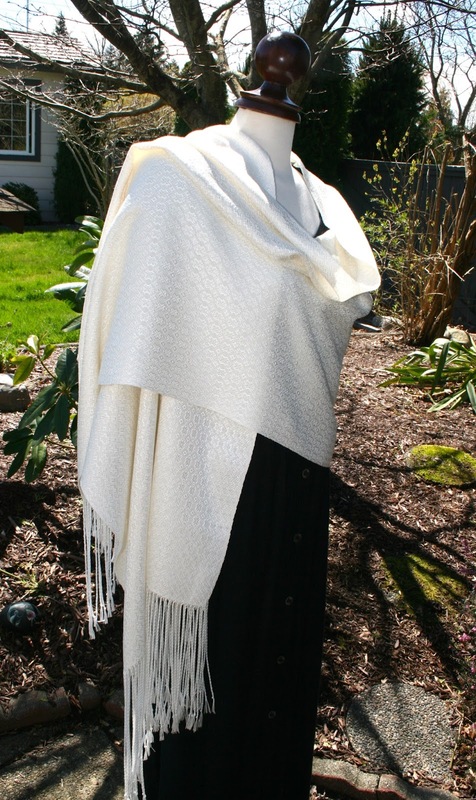 I'm going to make two shawls, with long fine fringes and, of course some samples. Yes, that's the tapestry loom and yes, its still empty. Well it does hold my pre-wound warps and such quite nicely. 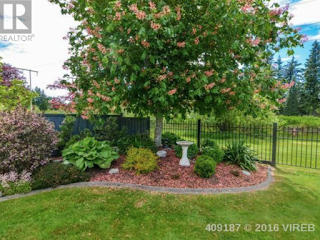 It was bought just a couple of weeks ahead of my knee operation and then when I was feeling better we decided to sell the house and move. That took a big chunk out of last year! Then when we finally got unpacked and settled I found my Etsy shop stock situation was low, so priorities has been on floor loom weaving for now. Its day will come! I must say that I love the Louet method of beaming warps. 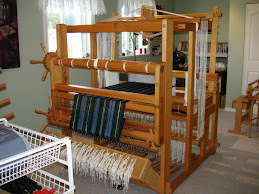 I know that every type of loom has its particular steps and there's a routine for each. 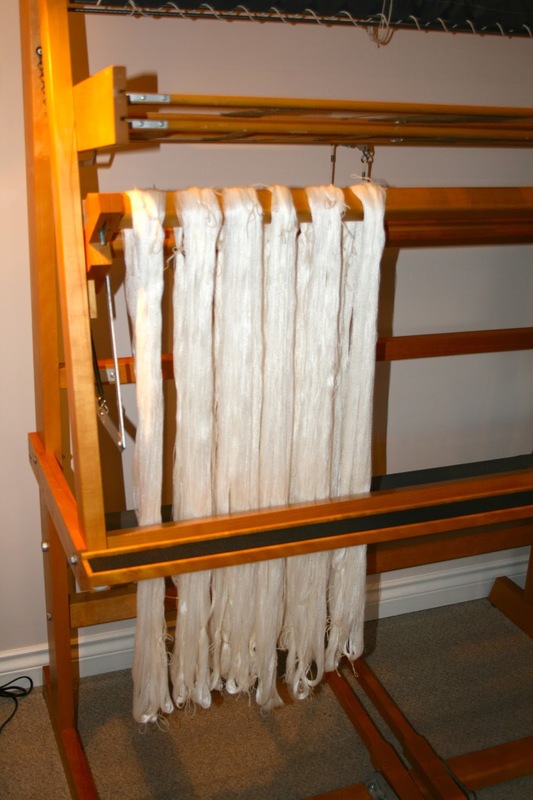 These Louet looms make it an simple job to do. The only 'rub' can be when the threads themselves misbehave such as sticky yarns but for most smooth yarns, its straightforward. I timed the beaming and it took fifteen minutes for the two of us to wind on 7.5 yards. The tencel just glides through and all went smoothly. Threading is a few straight runs on either edge for a border and in between its all a twelve shaft point twill. All the pattern is in the tie up! I have used this draft twice before but this time I took out the network twill section. My client Jeanne preferred the small over all pattern and I must say she was quite right.... but I'm getting ahead of myself now. 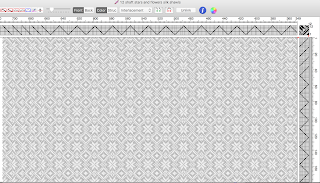 One pattern repeat at a time and eventually you get to the end, no matter how many ends! There is a line over to the left but its not an error. I checked threading and sleying and its fine. Its where three ends through the reed coincide with a portion of the pattern and it concentrates the ends together. Its distracting as heck! 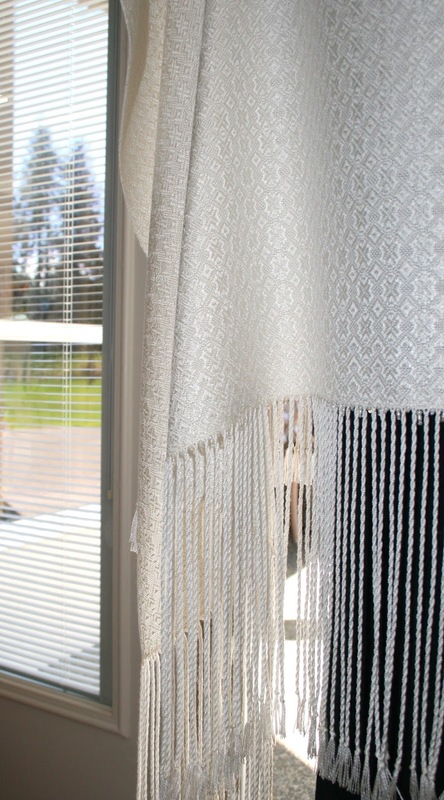 The spring loom tucked into the alcove. The weaving went fine and soon I was cutting the shawl off and then re-tying on to get the second shawl ready to weave off. It was late when I finally finished and called it a day. I use a double fringe twister with four clips but it still takes time. I count the turns in either direction. The shawl looked lovely but it needed a little something 'extra', so I dug through my bead collection and came up with two types of creamy white seed beads and tiny grain of rice sized fresh water pearls. I have one uber fine beading needle and I use a good quality cotton thread (used by quilters). I must confess that I got out my large size pick lens and used it to thread the eye. I need new lens in my progressives apparently! I added grouping between the fringe bouts and so they are visible no matter which way the shawl is facing. They add a little bit of sparkle and some people may not even notice they are there when its being worn..... but the wearer knows and it adds to the pleasure. There is a colour difference in the containers, but it disappears on the shawl! 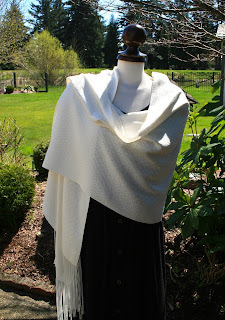 I gently hand washed the shawl and then draped over a towel on a clothes rack to dry over night. I carefully pressed both sides firmly to set the threads and pattern and trimmed up the tassels with a rotary cutter. Time for the glamour shots! The sun popped out briefly one day for roughly twenty minutes but I was ready! Taken in our early spring back gardens....and its almost like it was too bright. I'm a firm user of 'auto' settings on the camera and so lack the ability to compensate for the conditions. I do okay with my pictures but I'm not technically minded with it at all. 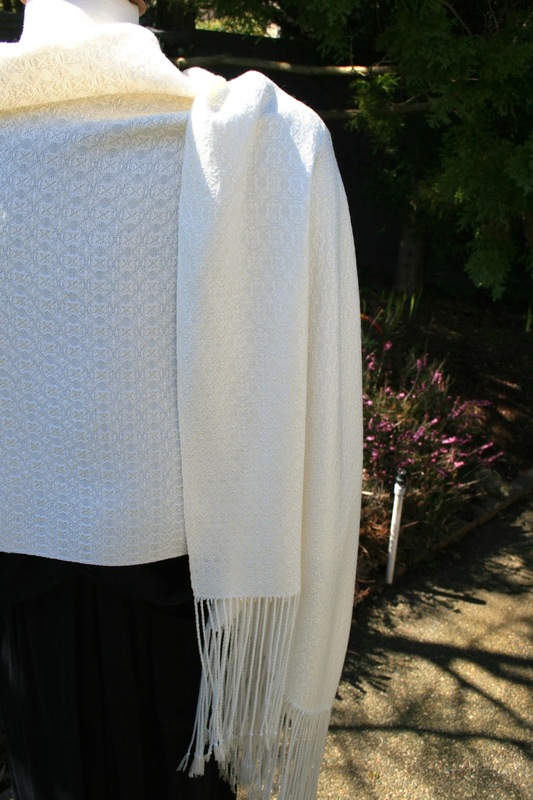 Jeanne is quite tall at 5' 9" so the shawl was woven to 86" (I normally weave to 80") and the fringe measure seven inches. As you can see the bead colour all works out in the end and blends in. Just poking their little heads out to catch the light. 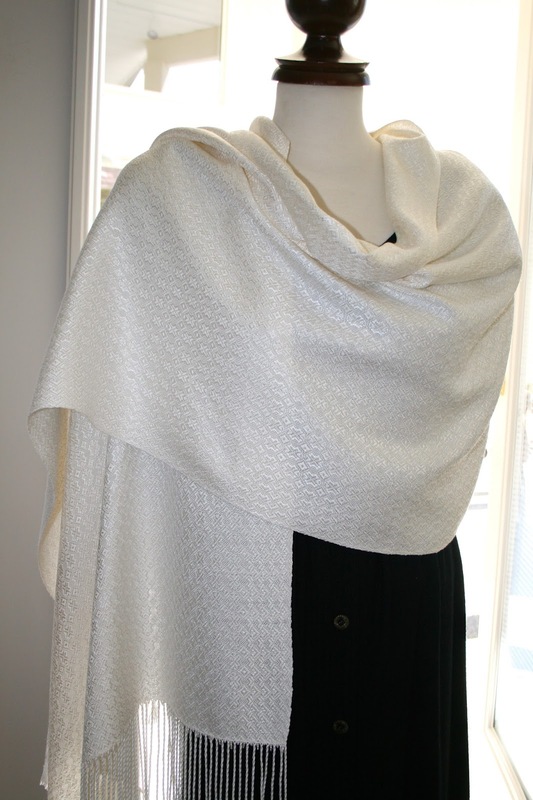 Its hard to capture the pattern with tone on tone weaving, especially with white. 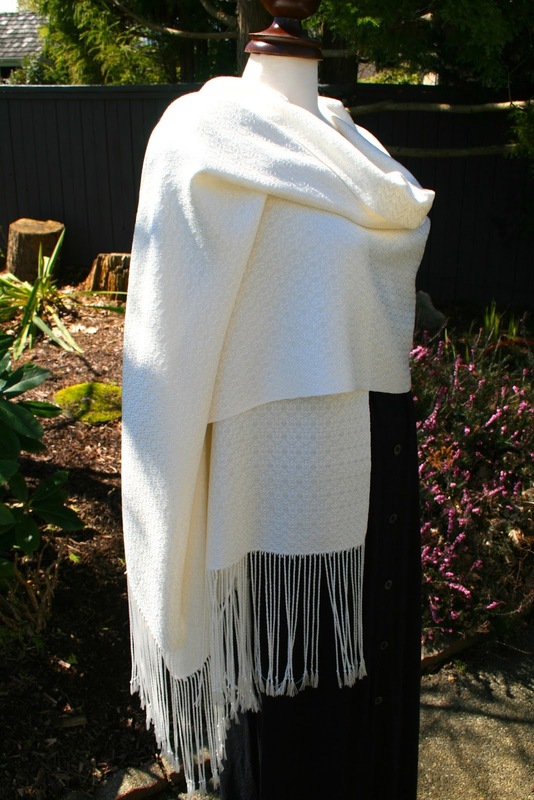 Its one reason you very seldom see all white projects in the Handwoven magazine. They like colour! 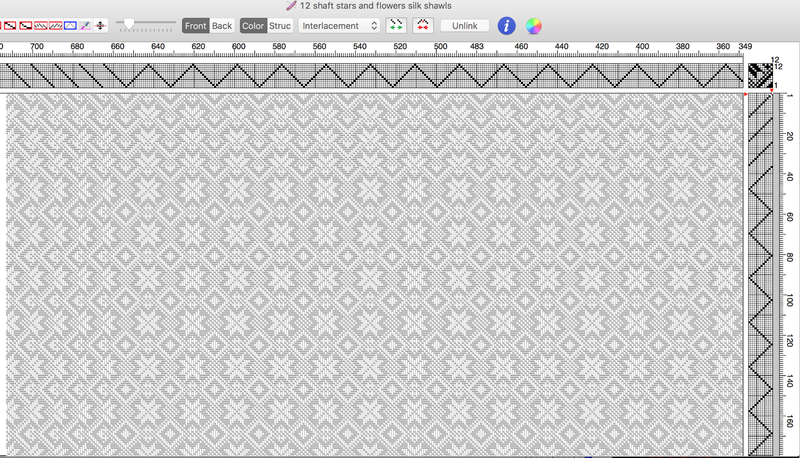 Here's a peek.....and it actually doesn't resemble the true pattern very much at all! I took the shawl back inside the studio and snapped a few more and they actually turned out better in many regards. Go figure! Here you can see some of the pattern better! Oh, and there was just under half a bobbin left of silk.... in case you were wondering! Finally, here's a picture of our spring 2017 back garden...... taken late April. We've been having a cold wet spring and a bit behind. and mid October 2016 just after we moved in. ... and finally from last July when we viewed the house on the internet and in person! Looking forward to see it soon!